The W. M. Keck Foundation was founded with the goal of generating far-reaching benefits for humanity. Following the ideals of our founder, the Foundation supports outstanding science, engineering and medical research, undergraduate education; and, in Southern California, arts and culture, education, health and community service projects that will have a significant impact in addressing complex issues and problems. The Foundation strives to fund endeavors that are distinctive and novel in their approach. It encourages projects that are high-risk with the potential for transformative impact. “High-risk” comprises a number of factors, including questions that push the edge of the field, present unconventional approaches to intractable problems, or challenge the prevailing paradigm. 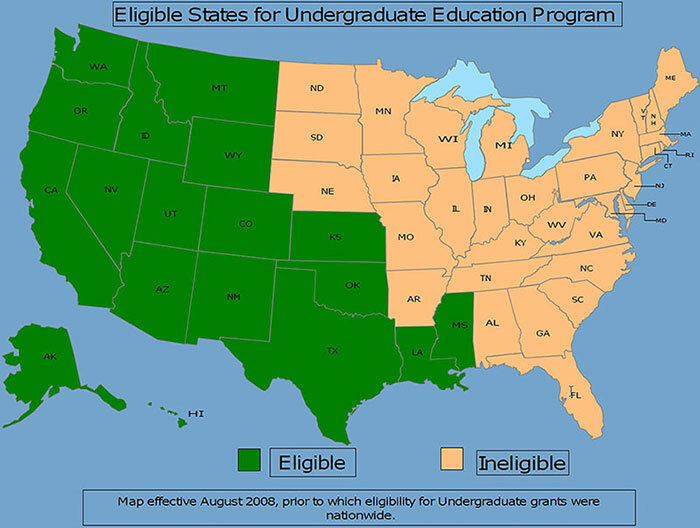 To make grant determinations, the Foundation relies upon a wide range of input, including assessments by its professional staff, site visits (where appropriate), peer reviews, the latest available scientific information, and presentations by experts in scientific, medical and health and human service fields. Supporting pioneering discoveries in science, engineering and medical research has been our mandate from the beginning. By funding the high-risk/high-impact work of leading researchers, we are laying the groundwork for new paradigms, technologies and discoveries that will save lives, provide innovative solutions, and add to our understanding of the world. Both Senior and Early Career investigators are encouraged to apply. We believe that a high-quality, well-rounded college education is vital for tomorrow’s workforce and leaders. The Foundation’s undergraduate program promotes distinctive learning and research experiences in science, engineering and the liberal arts at undergraduate colleges only in Foundation designated states, or through national organizations that address undergraduate needs. The Southern California Program seeks to promote the education and healthy development of children and youth, strengthen families and enhance the lives of people in the greater Los Angeles area through its support of organizations that provide arts and cultural enrichment, civic and community services, early childhood and pre-collegiate education, and health care. Projects that address compelling issues and have the potential to have a significant impact on the target population, organization, region and/or field are encouraged. A special emphasis is placed on projects that focus on children and youth from low-income families, special needs populations and safety-net services. Collaborative initiatives as well as projects arising from the vision of one organization’s strong leadership are supported. Nonprofit organizations, including colleges and universities, pursuing relevant projects in Los Angeles County are eligible to apply. Please note that the Foundation does not make grants to institutions outside the United States or to individuals. The W. M. Keck Foundation employs a two-phase application process. Applicants must follow the process carefully to avoid disqualification. Grants are awarded twice annually, in June and December. Only applications that reflect institutional priorities as certified by the applicant’s President/Chief Executive Officer will be considered. To schedule a conference call, please send your concept papers, project descriptions or project titles to concepts@wmkeck.org to help us determine our most appropriate staff for your call. If you are not able to submit your concept papers at the time of your request, you should do so at least three days before your call.